Did you know that acupuncture, Chinese herbs, acupressure, exercises and nutritional therapy can help to naturally improve your vision? There are 2 organs that are largely responsible for the health of the eyes and vision in Chinese medicine, and they are the liver and the kidneys. The liver is said to open into the eyes, and an imbalance of the liver can result in ringing in the ears, red, blood shot eyes and floaters, so the health of the liver is important in maintaining good vision. The kidneys are responsible for the brain, the eyes, the marrow and bones, and a kidney imbalance can manifest as ringing in the ears, dizziness and vision problems. When someone presents with problems with their vision, these are the two organ systems we are looking to re-balance. There are 400+ acupuncture points on the body, and on the face, there are 18 acupuncture points that surround the eyes. Each of these points stimulates and increases the circulation of Qi and blood to the eyes as well as stimulates the muscles and nerves that control the eyes, helping to improve vision. There are three acupuncture points that, if you apply pressure to them (called acupressure), can help to improve vision. They are Bladder 2, Stomach 2 and Stomach 3. You can use your fingers and apply gentle pressure to each of these points helps to stimulate optimal blood flow and nerve function. There are images of each point below for your reference. 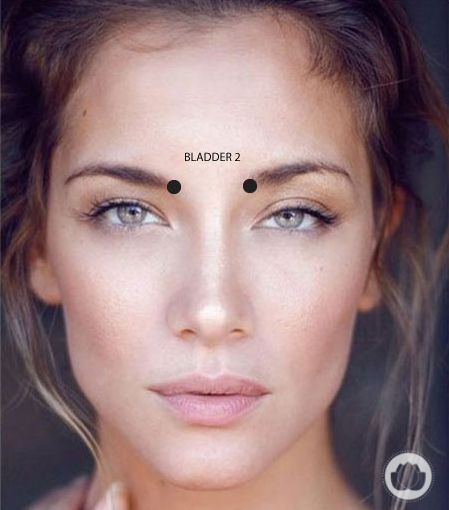 Bladder 2 is located at the medial end of your eyebrows. These points are bilateral, meaning on both sides of the body. When applying gentle pressure, it is best to come up from underneath, placing your fingers on the body ridge of the brow bone. You can apply about 30 seconds of gentle pressure to the points simultaneously a few times in the morning when you get up, and in the evening before bed. Stomach 2 is located directly under the pupil when looking straight ahead, right on the lower edge of the eye orbit (or socket). It is located about one finger width below the eyelid. Use your finger to gently find the point, you may feel a small notch there. Apply about 30 seconds of gentle pressure to the points simultaneously a few times in the morning when you get up, and in the evening before bed. 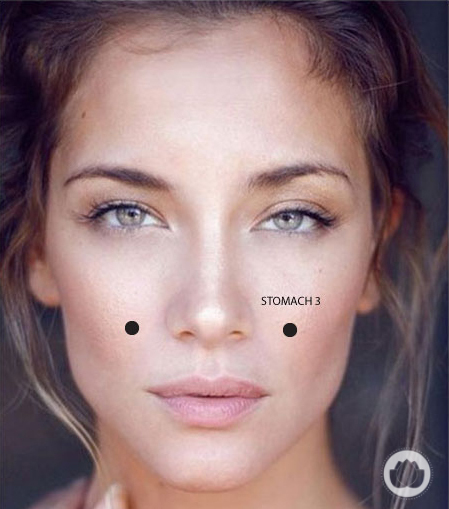 Stomach 3 is located directly under the pupil when looking straight ahead, directly below each cheek bone and level with the base of the nose. You can apply pressure to both stomach points simultaneously, or, if you are dexterous enough, all three points at the same time. Apply about 30 seconds of gentle pressure to the points simultaneously a few times in the morning when you get up, and in the evening before bed. 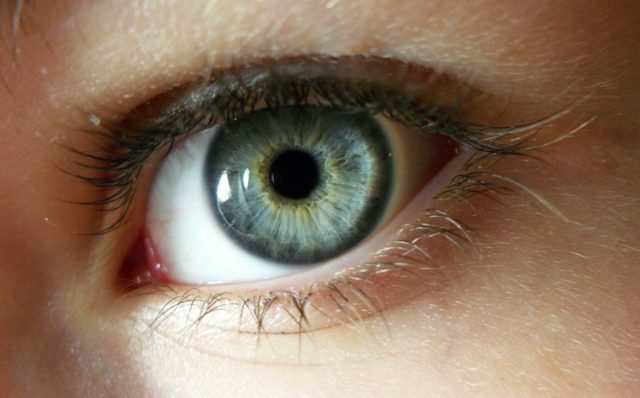 There are also 6 muscles that surround the eyes and one muscle inside the eye. If these muscles are too tight or too loose, it can affect our vision and ability to focus effectively. The muscles and their responsibilities are as follows..
Lateral rectus – Primarily moves your eye outward, away from your nose. 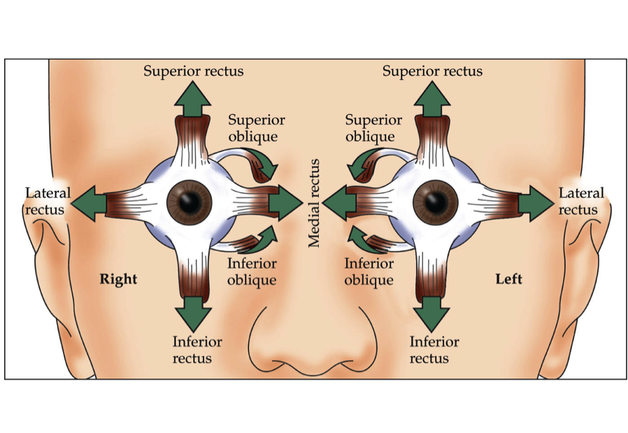 Medial rectus – Primarily moves your eye inward, toward your nose. Superior rectus – Primarily moves your eye upward. Inferior rectus – Primarily moves your eye downward. Superior oblique – Primarily rotates the top of your eye toward your nose. Inferior oblique – Primarily rotates the top of your eye away from your nose. There are many exercises that you can do to strengthen the muscles of the eyes. Whether the muscles of your eyes are weak or strong determines what kind of vision problems you are having, if it is being near-sighted or myopic or far sighted or presbyopic. One good, simple eye exercise that you can do every day is to relax sitting or lying and look directly up, to one side, down and to the other side, counting to ten at each position. Do this a few times and then reverse the direction. You will be able to feel a difference, as one direction will probably be easier than the other. Once you have done this a few times, try looking up and making a complete circle in one direction. Go slowly so you don’t make yourself dizzy. Stop once you have reached the top and begin again. Do this a few times and then go in the opposite direction. Doing these exercises every day helps to use our eye muscles and keep them strong. Here are some other things that you can do to help improve your vision and take some of the pressure off your eyes. If you work at a computer, take breaks. Take a walk and be sure to look into the distance (using different muscles in the eyes). Eat lots of antioxidants like cherries, pomegranates and blueberries. These foods help to protect the eyes from macular degeneration which is a leading cause of blindness. Eat foods high in lutein. Lutein is an antioxidant that helps to reduce free radical damage which can affect every part of the eyes. Foods high in lutein include eggs, leafy green vegetables like kale, spinach, turnip and collard greens as well as romaine lettuce. Also high in lutein are broccoli, zucchini, brussel sprouts and green peas. Supplement with DHA. DHA is a fatty acid that is found in the retina of your eyes. DHA can actually help to heal some degenerative changes that occur with macular degeneration. DHA is found mainly is animal products like eggs, fish and meat. The highest concentration is found in oily fish such as mackerel, herring, salmon, trout and sardines. Stay away from hydrogenated fats. Trans fats are bad for the whole body, but especially for the small blood vessels that supply the eyes and brain. If you are having vision problems, seeing an acupuncturist can help to isolate where the problems with your vision are coming from. Because diagnosis in TCM (Traditional Chinese Medicine) is individualistic, each patient is diagnosed based on their individual symptoms so that the treatment can be designed specifically for you. Acupuncture, Chinese herbs, acupressure, exercises and dietary therapy may all be used to correct your imbalance and improve your vision. You do not have to suffer with failing eyesight when Chinese medicine presents so many solutions to this common problem! Interesting read but does this really work? Why is this information so “hidden” if there are such tangible benefits? How much point can be cured by pressing the Accupressure point? Some genuinely excellent articles on this website , appreciate it for contribution.